Now that we're halfway through the year, it seems like the perfect time to look back and take stock of how the year in film has unfolded thus far. It's been a surprisingly strong start, with a nice mix of smart blockbusters and entertaining indies, and while I've got high hopes for the rest of the year - Inherent Vice can't get here soon enough! - I wouldn't be heartbroken if this ended up being my Top 10 for the entire year. As far as an assessment of the year, this would be a "keep up the good work" for 2014. While David Wain's takedown of the romantic comedy is a little broad and safe in its plotting, it's also immensely funny and manages to cram in enough weirdness and subversion to be interesting. It's not quite as consistently hilarious as Wet Hot American Summer, but it picks its targets well and proceeds to hit them with great intensity. Less of a documentary about teen movies than a collage representing the teen experience, Lyne's debut is a heady feat of editing that shines a wryly affectionate eye on the weirdos, burnouts and oddities that documented the high school experience during the dying days of the 20th century. A movie based on small plastic bricks has no right being good at all, and it certainly has no right being this good. Lord and Miller continue to demonstrate a knack for spinning straw into gold by making what should be a cynical, mercenary cash grab into a joyous film about the nature of creativity. Quite simply one of the most unnerving, sweaty and woozy thrillers since The Talented Mr. Ripley. Part murder-mystery, part meditation on a very specific gay subculture, it draws you in with richly draw characters and philosophical discussions before expertly putting them through the ringer. I glibly joked before Edge of Tomorrow's release that it was the perfect Tom Cruise vehicle because his fans get to see him in action star mode and his detractors get to see him die repeatedly. It turned out to be true, though not in the way I intended; Liman's film functions in part as an exploration of the different facets of Cruise's persona, at times playing into his action hero roles and at others deliberately running from them. That's just one of the layers in a film that manages to be about the nature of memory, video game culture, and the way blockbusters devalue human life, all while delivering on plenty of explosive action. Lord and Miller followed up the seemingly impossible task of making LEGO compelling by taking on the equally difficult task of making a sequel to their own hugely popular and critically acclaimed buddy comedy. They managed it by making a sequel about sequels, and by ensuring that their self-reflexiveness never got in the way of flooding the frame with every kind of joke possible. James Gray's fifth feature found him entering somewhat new territory by abandoning contemporary New York for the New York of the 1920s. The end result is one of his most ambitious and literate works while still maintaining his usual mix of careful plotting and devastating emotional intensity. Marion Cotillard and Joaquin Phoenix do some of their best work, but the real star is Darius Khondji's cinematography, which features shadows so deep and evocative they'd make the late Gordon Willis nod in half-lit approval. After the sweetly low-key Moonrise Kingdom, Wes Anderson changes tack and goes for broke with an elaborate and hilarious comedy that spans four time periods and his biggest cast, the members of which dig into his delicately constructed farce with relish. The master of Japanese animation bows out with a story about the price of creativity that also serves as a stately, moving cap to an astonishing body of work. Hopefully Miyazaki-san will change his mind and make more films one day, but if he doesn't he couldn't have picked a better note to go out on. 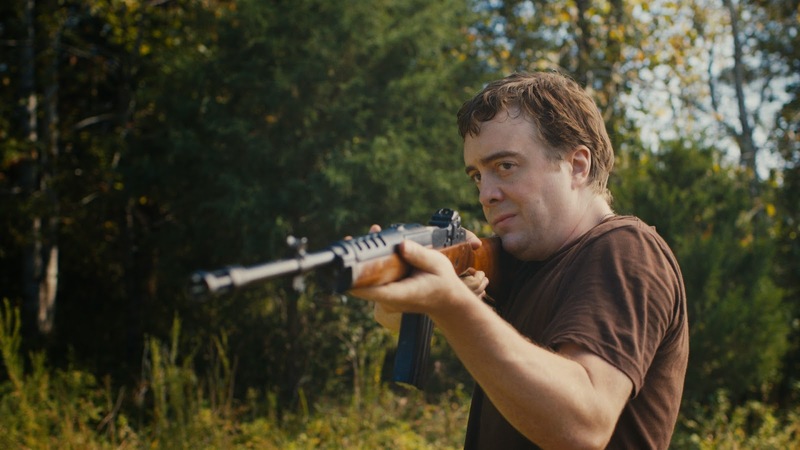 It's tough to be a commentary of a kind of story while also being a satisfying example of the story being examined, but Blue Ruin makes it look effortless. Not only is it a bleak, funny revenge film that addresses the whole genre with a skeptical eye, it's also a brutal and thrilling film in its own right. This was my first experience with Jeremy Saulnier's work and I can't wait to see what he does next. BONUS ROUND: The best film I've seen in 2014 which was not released this year is Leos Carax's Mauvais Sang, which is a relentlessly playful crime drama that manages to be both a thrilling allegory for young love and a devastating account of wasted potential. A truly vital film that feels as fresh and alive today as it must have felt back in 1986, it's currently streaming in HD on US Netflix.